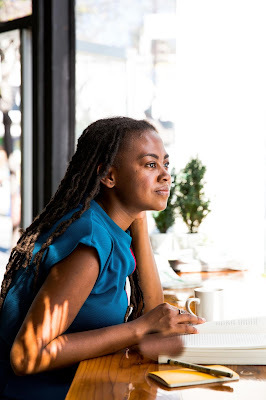 Jamia Wilson (GSAS ’09) is the Executive Director and Publisher of Feminist Press at City University of New York. She is the youngest person and first woman of color to hold this position at the press. In the past, she has worked as an Executive Director for Women, Action, and the Media, as a TED Prize Storyteller, and as Vice President of Programs at The Women’s Media Center. She is the author of Young, Gifted and Black and co-author of Road Map for Revolutionaries, and wrote the introduction and oral history to Together We Rise: Behind the Scenes at the Protest Heard Around the World. She has been a powerful force at the intersection of social justice movements and media for over a decade. What's your favorite memory of NYU? My favorite memory of NYU happened when I walked into Dr. Heather Luke's class about gender and exceptionalism and discovered two former colleagues from my past work at Planned Parenthood. Both of these brilliant women worked in different offices in different states, and we found each other again in a classroom near Washington Square.